Xi'an, China, March 20, 2019 – Taking clue from the ancient Chinese herbal medicine system, MIGU specializes in manufacturing herbal extracts, available in the purest form and which come with varied medicinal benefits. The company deals in a wide range of natural and herbal extracts and now, they are offering extracts of He Shou Wu. This is a kind of plant that is naturally found in abundance in the mountainous regions of central and southern China. The extract is prepared from the tuberous roots of this plant. It is often considered as a primary essence, according to the Chinese Herbalism, and has several kinds of medicinal benefits. According to the spokesperson of the company, they supply the he shou wu extract in its purest form, which can prove the best blood tonic to improve the red blood membrane counts. The tuberous roots of this plant are a rich source of many phospholipids that help build the blood lipids. There are also stilbene glycosides present in the plant roots as an active ingredient, and which can be a good source of anti-oxidants to boost immunity of humans. The spokesperson reveals that the extract of the he shou wu plants could be a stronger anti-oxidant than Resveratrol. This herb can tonify human organs and can nourish the blood. It is one of its kind natural energy tonics that are available to the mankind. It can also work as a mild sedative to soothe the human nervous system. MIGU Adaptogen Bio-tech Co., Ltd is a specialized supplier of herbal extracts, and one can procure the ganoderma lucidum spore oil from them, which is often used as an anti-cancer and chemotherapy agent. The oil is extracted from the spores of this ganoderma lucidum mushroom, using the super critical CO2 extraction technology. The company ensures the purity of triterpenoid of up to 30% in this spore oil, which improves its antiviral and anti-bacterial properties. This spore oil supports a healthy liver and also helps maintain a healthy blood sugar level. According to the spokesperson, the oil is extracted from the reishi spore powder which is obtained by cracking and removing spores 100%. The oil in its purest form can metabolize lipids and support the modulation of the human immune system. The company is also a major supplier of the Tongkat Ali Extract, which is often considered as the best natural testosterone booster. The extract can greatly enhance the mental and physical energy levels of humans. The roots of Tongkat Ali have been known for their anti-aging properties since ages, and now MIGU brings the extracts of Tongkat Ali to enjoy the benefits of its medicinal properties. It can help maintain the energy and the libido with the growing age. 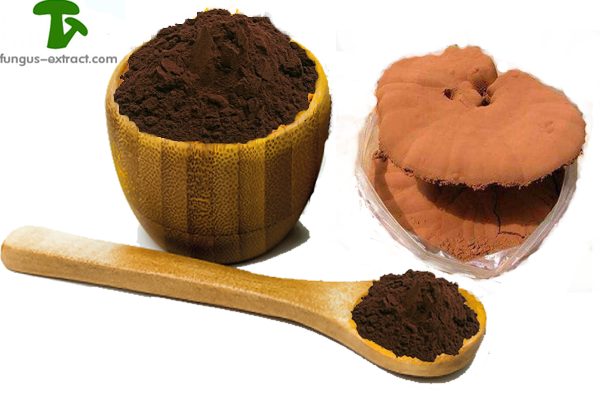 One can check the different types of herbal extracts that MICU supplies by visiting the website http://www.fungus-extract.com.